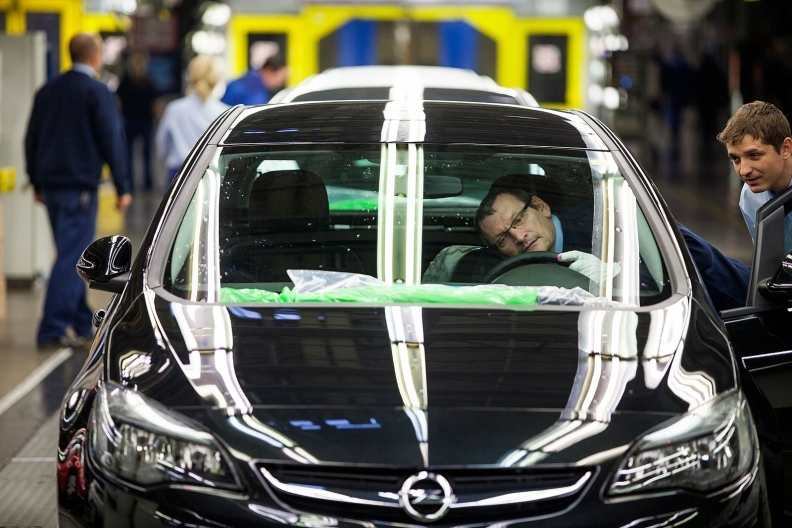 An Opel plant in Poland. Industry experts and executives in Europe suggest that GM's finance and controlling-driven culture over time eroded Opel's core brand value of reliability, and that PSA would be a better match. General Motors had a choice: Strive to achieve enough scale with its European operation to make headway in a hypercompetitive and increasingly costly market -- or leave that task to someone else. After almost a decade of choosing the former with nothing to show for it, GM ultimately chose the latter, a final acknowledgment that -- just as many industry experts in Europe believe -- a regional power such as PSA Group might be more suited to run the business in the face of increasingly challenging odds. The financial terms of the deal suggest it wasn't an agonizing decision. The $2.3 billion GM will collect, plus warrants for PSA shares, won't even cover the $3.18 billion GM must pay to PSA to top up Opel's underfunded German pension obligations, let alone the $4 billion to $4.5 billion in largely noncash charges related to the transaction. The sale puts an end to 17 straight years of red ink spilled by GM's European operations, $257 million of which was booked last year because of Brexit-related currency headwinds from a tumbling British pound. GM President Dan Ammann said it was a "pretty natural evolution" after realizing further investments wouldn't solve Opel's growing cost problems and regulatory burdens. "Anytime that we're making long-term investment decisions, we need to look at the environment we're investing into," he told Automotive News Europe. "Clearly the environment [in Europe] looks quite challenging for the near to medium term, so that's a factor, but I think the bigger factor was more the investment required to be as competitive as we want to be here off a relatively subscale position." What's to say PSA can do better? Experience suggests that the capital-intensive auto business, with its long product life cycles, is always a poor fit with a corporate culture driven by the U.S. stock market. GM, for its part, is more exposed to the vagaries of Wall Street than other peers as it remains one of the few carmakers without an anchor investor backing the company. PSA, by contrast, benefits from a trio of strategic investors that shield the company from short-term stockholder pressure. The Peugeot family, the French state and PSA's Chinese joint-venture partner Dongfeng each owns about 14 percent of the company, virtually assuring them of control during any shareholder meeting. Interviews with a number of industry experts and executives in Europe suggest that GM's finance and controlling-driven culture over time eroded Opel's core brand value of reliability, and that PSA would be a better match. "It's tragic. There was a time when Opel was better than Volkswagen," a European sales executive at Mercedes-Benz said. "The problems started when they lost the large amount of independence they once had. American carmakers have a corporate culture that has traditionally focused on cost, not brand." Investment bank Evercore ISI believes PSA can quickly achieve profitability at Opel with the help of a trick that GM couldn't use. Under Europe's accounting standards, r&d spending that is linked to market-ready products and features is treated as an asset, or "capitalized" in financial jargon, and hence amortized over time. GM however applies U.S. generally accepted accounting principles, or GAAP, under which it treats r&d expenditure as a sunk cost with no future benefit, and expenses it fully as such. "By simply capitalizing some of GME's r&d, GME's reported profit/loss could swing into the black," the investment bank wrote in a recent report, estimating last year's loss under this method would have swung to a profit of $248 million. Fresh from announcing the deal on Monday in Paris, PSA CEO Carlos Tavares flew to address Opel employees in the modern foyer of the carmaker's headquarters in Ruesselsheim, Germany, where employees packed the passageways high over the main hall to learn about their future. Just hours after indicating he would stick with GM Europe President and German national Karl-Thomas Neumann as Opel CEO, Tavares won applause by starting with a greeting in German that he practiced for the occasion, participants said. Neumann might not be the only one to stick around. 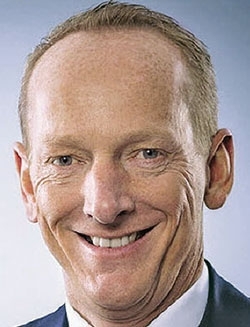 While it is considered highly unlikely in Ruesselsheim that production boss Phil Kienle, purchasing head Katherine Worthen or engineering chief William Bertagni -- all Detroit transplants in roles globally relevant for GM -- will remain with Opel after the sale, the brand's finance chief, Michael Lohscheller, indicated his desire to remain in his role. "It's an encouraging sign that Mr. Tavares expressed his confidence in the management team," he told Automotive News Europe in Geneva. "The next task for us is to deliver the new business plan he requested."